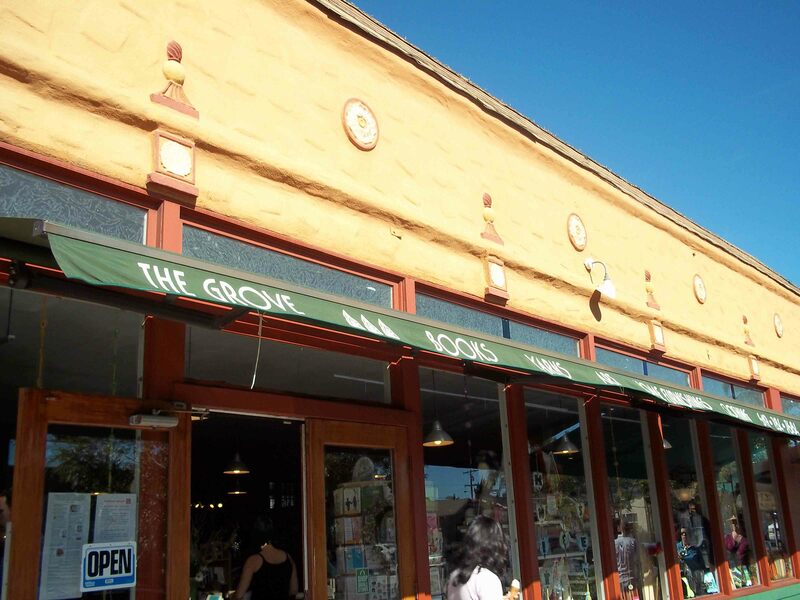 The Grove, a fun, groovy shop located in the fun, trendy neighborhood of South Park in San Diego, CA, was groovetastic! 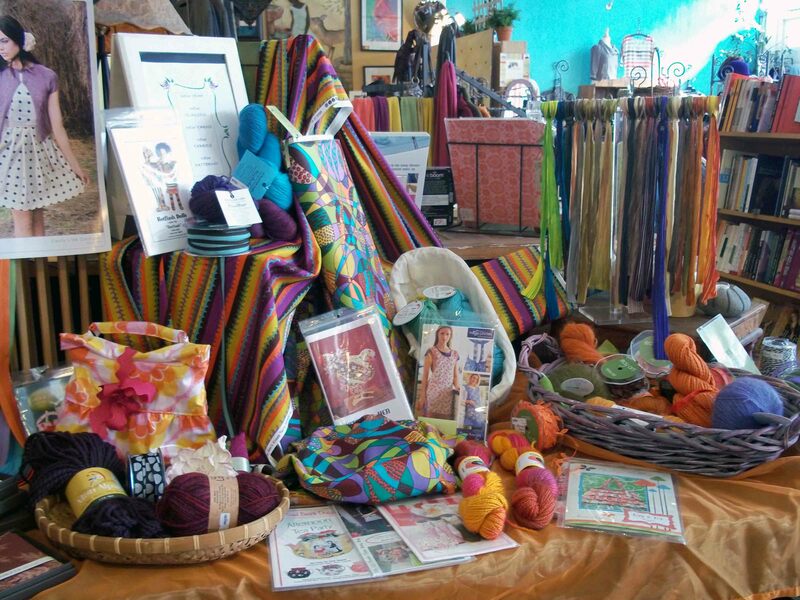 I heard rumor of this wonderful store that sells everything that knitters love – or, at least, I love – jewelry, clothes, books, yarn (a given), fabric, handmade cards, kitchen implements, and other bits of fabulousness. The friendly ladies working there are uber knowlegeable and helpful. I got some plasticised cotton for a bicycle basket bag I conceived and my sewing compatriot will execute. The kind lady asked if I’d ever worked with that kind of fabric before, answer no, since I don’t sew. Then she revealed tricks such as using binder clips as oppposed to pins, which leave holes, and a Teflon coated presser foot. Good to know. The sewing guru making the bag was thankful for this shared knowledge. 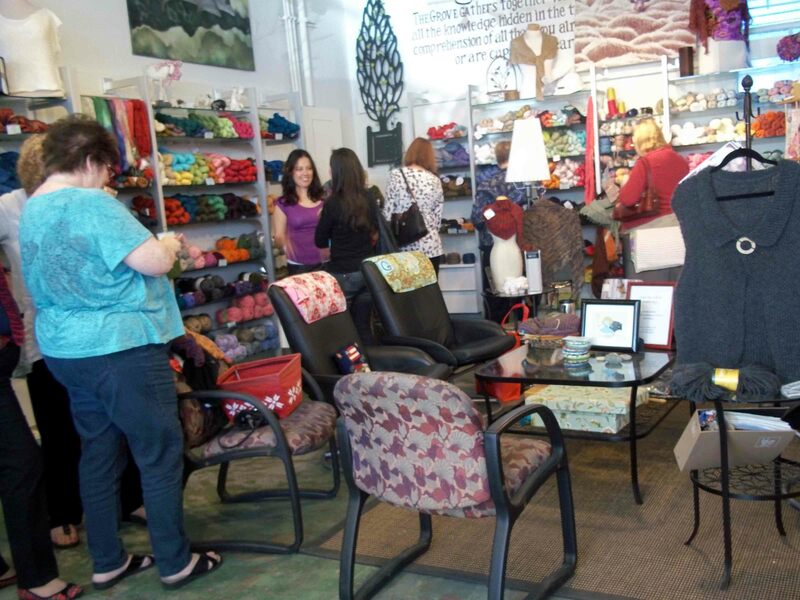 The place was hopping and they were having a sale, which I missed the zenith of, but even still the basket of two for one 100% cashmere yarn was tempting. 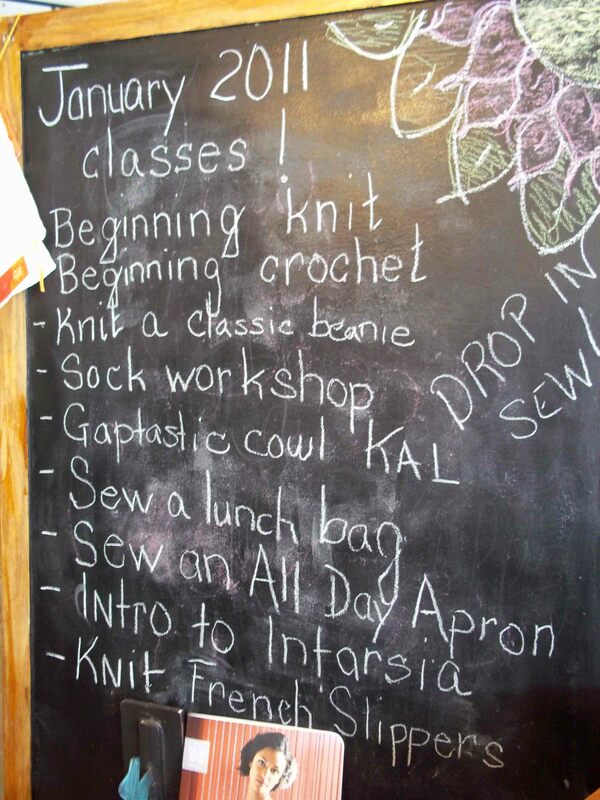 I wish I could take that Intarsia class. As I fondled the goods, a knitter knitted away and another joined her with a finished hat to share, though the weather was too glorious for her to wear it. They discussed a WIP and I found myself wishing I lived nearby so I could join this vibrant community. 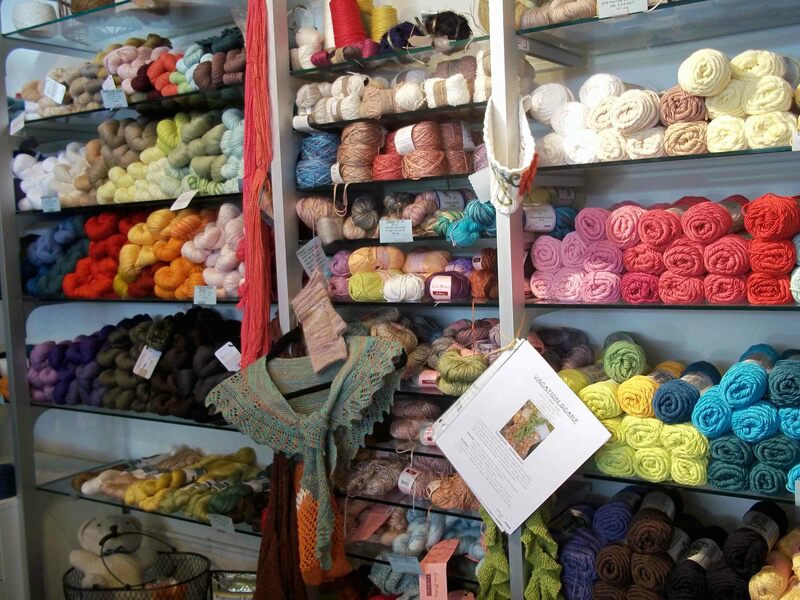 In the end, I didn’t buy yarn, but it’s always fun to look. But don’t think I left empty handed as I found earrings for a gift, Matruska notecards for my good friend, and the fabric, which was 30% off. What do you think? Have you been to this fab shop? Or, do you have a recommendation for a shop I should add to my wishlist? Come on in for a visit! They're happy to have you!